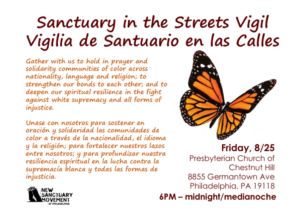 In the aftermath of the 2016 election, our Sanctuary in the Streets trainings prepared over 650 people to offer rapid response in the event of ICE raids and mobilized a network of 1800 allies, while our ICE raid hotline numbers (English/Spanish and English/Indonesian) were distributed to thousands of immigrants in Philadelphia. 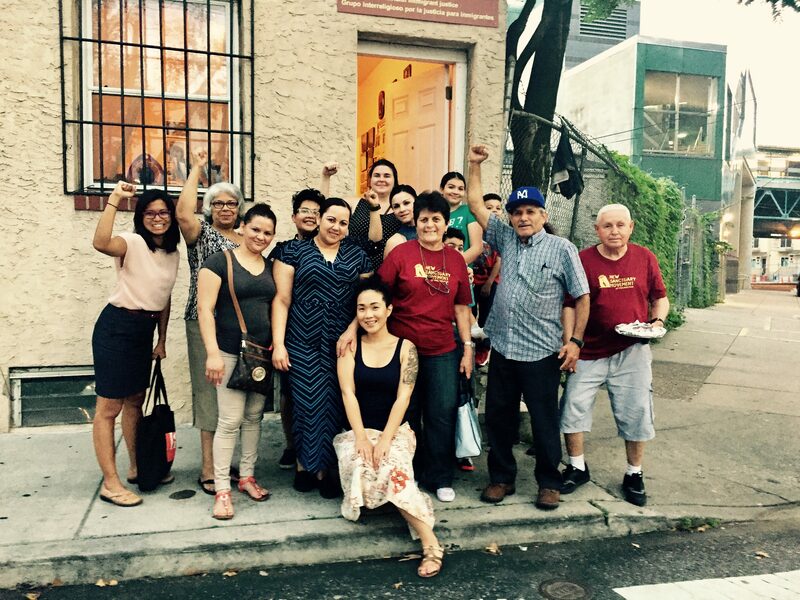 Although further trainings for allies are on hold, we have continued to deepen our raid preparation work by setting up a network of raid confirmers, and by going door to door in immigrant neighborhoods to train folks on how to respond if ICE should come for their neighbors. 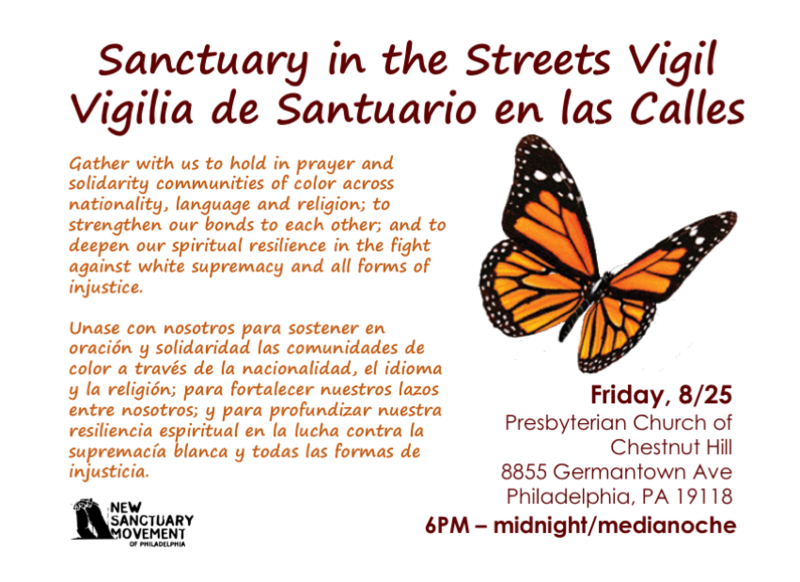 We have re-centered immigrant leadership for this work by convening a committee of immigrant members for Sanctuary in the Streets in late spring 2017. Since then the committee has been engaged in research, power-mapping, coalition-building, and long-term strategizing to clarify how ICE operates in Philadelphia, and what we need to do to expand and fortify what sanctuary looks like in our city. 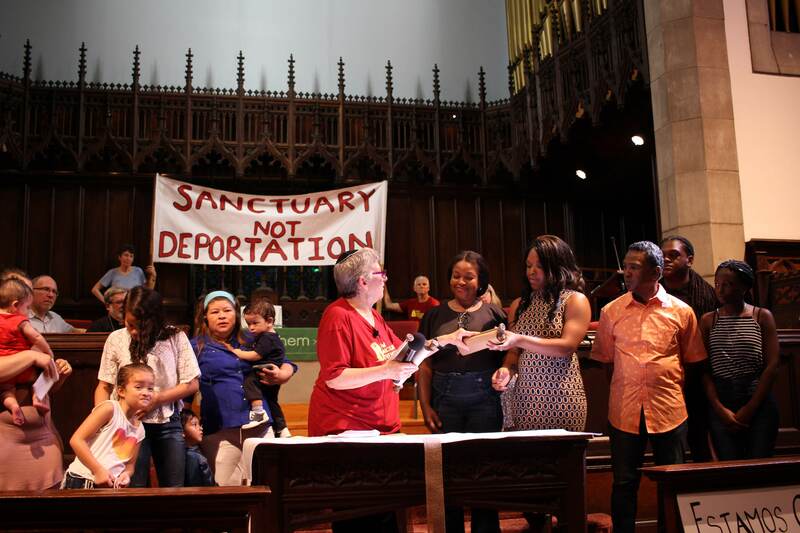 Recently, we did a call to action to demand that Mayor Kenney stand strong by our No ICE Holds policy in the face of new rules rolled out by Attorney General Jeff Sessions to punish sanctuary cities. RSVP for most up to date information. Follow our Facebook page for the most up to date information.